Every day except for Friday, the fish market in Male’, the capital of the Maldives, produces a significant amount of fish waste, around 8-12 tons (8000-12000 kg) per day. This organic waste is just dump into the ocean near the fish market area. This highly organic fish waste has potential to generate considerable revenue and can be turned into a commercially viable business. Fish waste from the fish market can be best utilised in the production of organic fertilizers and composts, which have immense benefits over imported unsterilized organic fertilizers and chemical-based products. Fish waste is dumped into the sea near the fish market area. The Maldives Industrial Fisheries Company (MIFCO)’s fish processing unit in Lhaviyani Felivaru produces fish meal from fish waste for exports as ingredient for cattle feeds. Fish waste can also be used in producing biogas in a process called anaerobic digestion, and is a renewable source of energy rich in methane and carbon dioxide, appropriate for energy production and could help in replacing fossil fuels in the Maldives attempts to become carbon neutral by 2020. Anaerobic digestion is the process whereby organic materials breakdown naturally by anaerobic bacteria in the absence of oxygen and produce biogas as waste products. you can also make rihaakuru from fish waste, as shown by the women of guraidhoo and other islands of thaa atoll and then, perhaps, turn the remaining stuff into fertilizer. sadly, the agriculture ministry has never shown an interest in promoting organic fertilizer production or faming. instead, they’ve always aggressively imported and sold chemical fertilizers and pesticides (even some which are banned in other countries) to farmers. god knows how much poison is in the soil of islands like thoddoo. 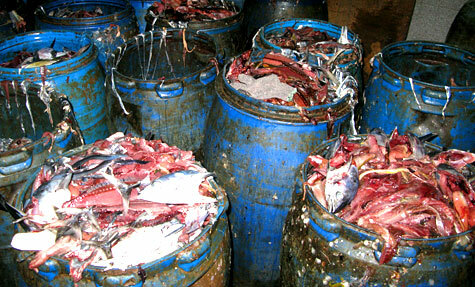 Appropriate measures should be taken to dispose of waste from fish. Dumping fish waste into the sea will also create water pollution in the area. Biological and chemical constituents of the fish waste will be detrimental to the aquatic fauna and flora (if there is any) in the area it is dumped into. Concentration should also be given to remove float-able and settling solids. That include screening, sedimentation, and flotation to remove oil and grease and other suspended solids. The large quantity of fish waste dumped into this area can also cause dissolved oxygen depression as well as odor problems. Fish waste can be also used to make bio fuel. A potential buyer of fish waste is Canada. yes more over its can be used to manufacture fish food and food for animal where its a high end market in Europe where millions of euro’s are spend of per food. in fact Maldivian fish catch is the most reputation in the whole world, therefore its left over will be as good as the best. what do you do with your science is technology envoy in Europe ? windmill is not what we want it will destroy the Geology of the islands and its delicate nature. Excellent idea, but who is there to invest for such a project ?? Now, at the moment I look to a documentation on 3 Sat, it is very sad what´s going on on the maledives!!!! To less people want to see these bad things on this wonderful ilands and the big danger for the nature!! Please try to stop this disaster!!! !NOW, before it´s to late…. it is not so fun. after 2-3 years or even early such dirty collector will produce infections epidemy and it will be terrible. before during prezident Mamoon it is never was like today. at present time in Maldives we can see total crash of health protection and anti epidemy,hygiene control systems. it may cost humans life in future, and ecological disaster .local fish market it is not only point around Male where you can see dust in water. This wast comes from nature and goes back to nature! I cannot see anything wrong in it! But truly is a waste that can be turned to our benefit! I cannot see this as the big disaster Uschi Wetzel from Germany see it! But truly it is a waste that can be turned to our benefit. Natural solutions cannot cause any danger to noting! Nature can balance and will balance itself unless we try to fiddle with it! But this truly is a waste and need a lot more investment than idea and sketches! that is why see water not properly circulate so dust will be collecting and create bacteriologycal problems.why it is so difficult to understand? i have heard about it, and so i would like make factory for “organic fertilizer in Madives to protect from ocean pollusion. We are one of manufacturer of Organic fertilizer using fish in korea. Please inform me how to do to set up factory in there, and wish to know if we can sell its near Maldives. I see a big potential and banned product in Male these Fish waste can be contribute to many factors , these waste can converted to fish silage and feed to Pigs (banned) its slurry (liquid based) these are been proven in most of the Europe country such Sweden and Denmark or for poultry feed this is very cost effective , i have already commenced 10000 liters capacity project in Srilanka . If we can get some local support, we can bring in multi-fuel engines for power generation, which can leverage the fish oil as the fuel for these engines. And thus go green and reduce the diesel fuels. We can reduce much of this waste even, by eating most of the fish, we Maldivians have habit of preparing these fish, that we waste so much of edible part of the fish. 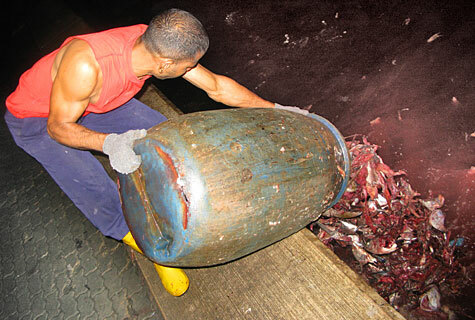 Historically Maldivians have different style of handling fish. specially tuna. I think by slight changes how we prepare these fish for cooking, even we can save lot of fish. If we cut the fish with bones the way neighboring countries do. Remove only stuff in the stomach of fish, the rest we can cook and the reaming will be only bones to through. My opinion is to abolish this fish preparing area to encourage people to take the whole fish to home and eat most of it. Scientifically its proven now, that fish protein is good for your heart, and may be that’s the reason we have less cardiovascular disease in Maldives, by eating less oil and more fish we may have more health benefits too, if we can prepare them properly so we consume most of it. During early 90s there came up a project in the Min of Fisheries & Agri . under the UNDP assistance called ‘ fish waste utilization ” 2 foreign experts came and did a very thorough servey. it was found very feasible to produce Silage for using as fertilizers. They did test products and made tests,a senior staff of that ministry who worked as a local focal point and project manager did found foreign market for unrefined crude silage which will then be a new export product. UNDP provided basic machinery and other equipments (worth more than $100,000) to be installed at Male fish market where all fish waste to be ground into paste when it is fresh ,add preserving chemical and pack in 200 ltr. drums. The item of dumping fish waste can be seen in the perspective of economy (household of mankind) or ecology (household of nature), the latter of which includes economy. In economy it may be feasible to use fish waste as food, fertilizer, fodder for farmed animals or for production of biogas. Apart from initial costs for small factories and training of staff, this would be profitable in the long run. In an ecological view, dumping into the sea means partly returning nutrient to the ocean (in this view the fate of total organic waste of the Maldives should be debated – not only the minor waste from the fish market). Wild fish can be seen as “free living farmed fsh” and like farmed fish they need nutrients for survival and growth. These days overfishing is discussed in many oceans of the world, but giving back fish-waste to the sea would reduce some effects of overfishing. It seems (mainly from information on bluepeacemaldive blogs) that maldive governement agencies through passive or active measurements inhibit most sound environmental decisions (like for instance bulding of a sewage water treatment plant, which could easily be combined with recycling of valuable organic waste). However, Maldives may face worse problems. The 2004 tsunami was hitherto the most devastating event in the modern history of the Maldives. But the potential rise of sea level due to climate effects may prove even more disastrous. Ironically the important tourist industri presently is totally dependent on large CO-2 emissions, participating in rising sea level (can tourist transportation be transferred to sailing transports?). Does the Maldive governement plan to transmigrate the whole population in some future? Is this the reason they do not seem to act in “local” environmental or health related topics?